We are here to help all RE/MAX Agents and Brokers have conclusive data to demonstrate your current LOCAL market leadership and performance to assist agents to get more listings over the competition and get sharper list prices. 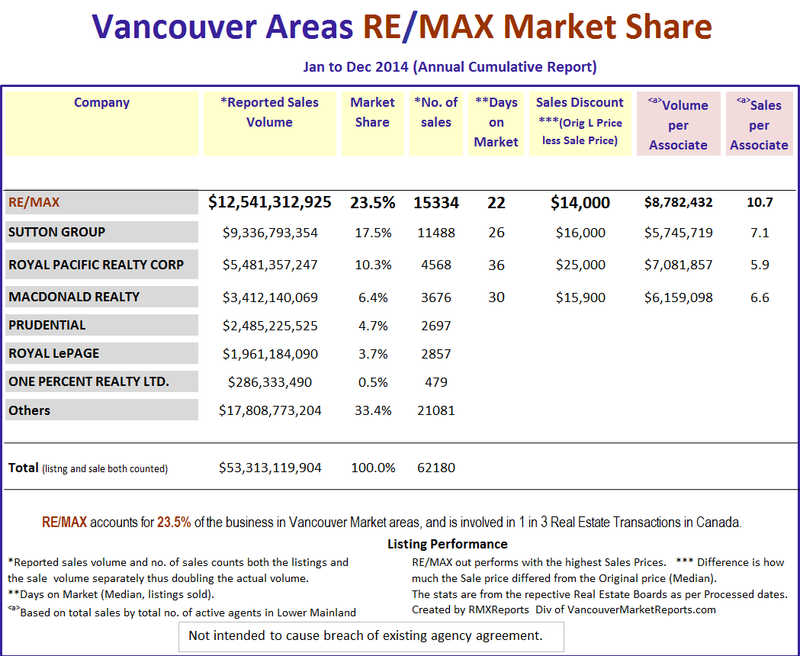 These private market share reports are available only the 1,700+ lower mainland RE/MAX agents and can only be accessed from email invitations. Hello fellow RE/MAX Agent.. please enjoy and use these reports to assist you in closing that next listing. These reports are complied for you for .. volunteers and comments appreciated. If you would like to sponsor this city let me know. You probably currently pay staff to compile much of this board information already... so we are hoping to save you these costs. e.g: Focusing on what the Local %%CITY RE/MAX agent is producing in the Local Area rather than the office total. I do not calculate in the out of town agents’ local volume, but dividing the local agents' volume by the number of local agents to give you the highest volume per agent. If I factor in the 30% out of town agents volume that sell 1 house here and there, then the RE/MAX volume counting all those agents would dramatically drop the volume/agent. So I focus on the local volume per local agent whenever practical. 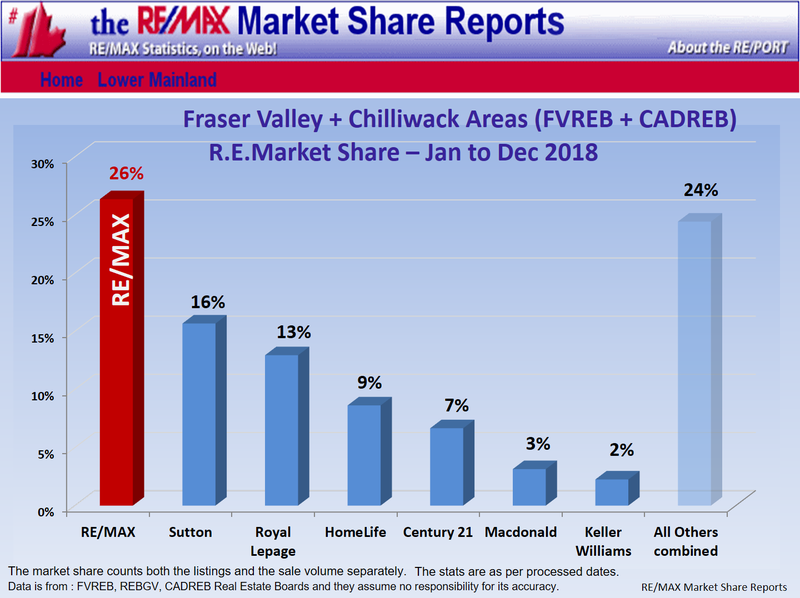 Note: the listings and sales by non local agents in Chilliwack are about 26% and in the Burnaby area they are nearly 75%. I think it is important to stress local office performance as having a stronger value than an out of town agent's services, e.g. LOCAL offices are involved in the community, know the neighborhoods, have office tours and have a strong local agent support base. 2. 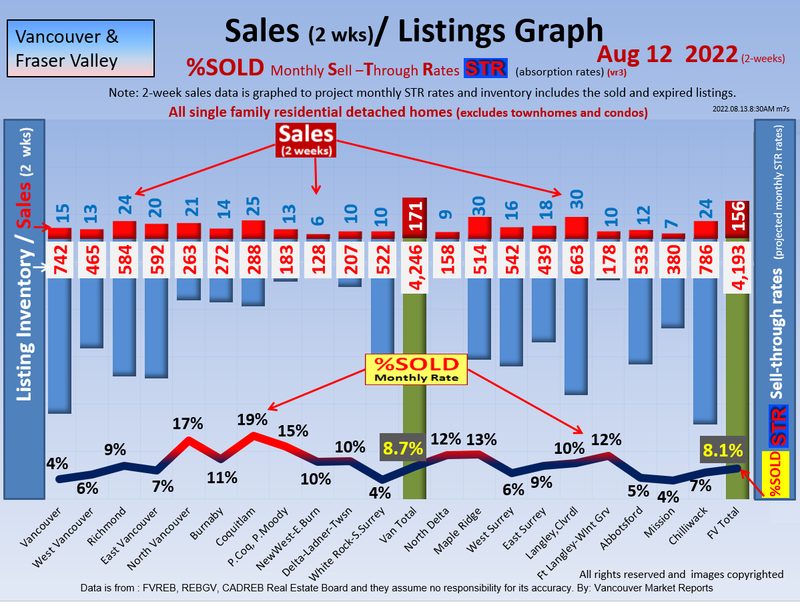 I have now added in two major new statistics to really help you get the RE/MAX success story across and list more homes. 2. You get more money when you sell with RE/MAX (Yes - RE/MAX has the smallest discount from List price to Sale price of most all companies). Some companies really BUY their listings and then have huge discounts when they finally sell. Bottom line, we usually have market share, office tours and have more exposure, resulting in a higher and faster sales price and now those facts are in print for your agents to use as listing tools. In fast markets, the less informed offices can under-list and result in average prices well over list price. So I will continue to adjust this report to demonstrate the extra professionalism of the RE/MAX agent. Some other offices really use the market stats to get sharper list prices. Hopefully these new tools I am providing now give our RE/MAX agents the upper hand to price on market. Hello %%FIRSTNAME fellow Re/Max Agent.. please enjoy and use these reports to assist you in closing that next listing. This is a very useful tool to determine if the market is going up or down and help the seller fetch a better price for their home. This is the forward projections based on increasing or decreasing inventory levels. It is a wonderful tool for helping the customer see 1-2 months into the future. This is the difference from the List Price to the Sales price. It is our strongest indicator of market changes. When time allows and demand is there for the report, an update every 2 weeks is the goal. Many boards actually don't do Home Price Indexes and in general the boards that do can produce HORRIBLE indicators of market changes. For example, Local boards often average the 2 bedroom home and the 6 bedroom home, or a high end lot home and low end lot home and with little adjustments on sqft, etc to determine the average price (HPI). 1. This does not work!! So if the high end market actually drops $100,000 and you sell more high end homes that month than low end homes then their HPI (average) shows that the prices went up instead of down??? 2. Note: We attempt to use very narrow study criteria to compare standardized home sizes and similar lots and areas. 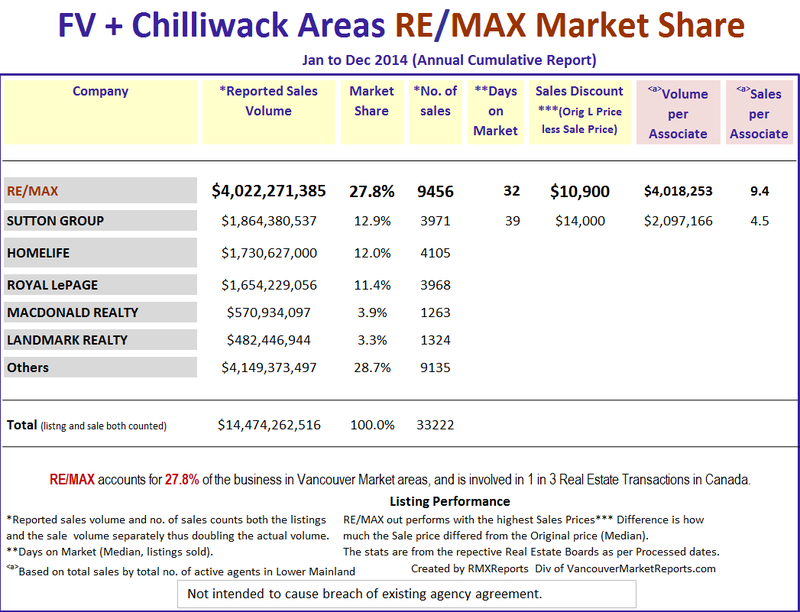 When looking at the data remember that the out of town RE/MAX agent sales are only counted for total RE/MAX sales. 1. But all the performance reports such as volume per agent, DOM and discount are based on LOCAL listings/sold data by local agents. 2. Market Areas are determined by actual market areas not by municipal boundaries or by board areas necessarily. 1. White Rock includes the South Surrey Elgin area and this area will not be counted in Surrey. 2. North Delta will be counted as part of Surrey as more out of town agents sell North Delta than Local Delta agents do. 3. We calculate all the sales volume for the month only from the local city area stats as provided from the board for Processed date, not Sales date. 1. 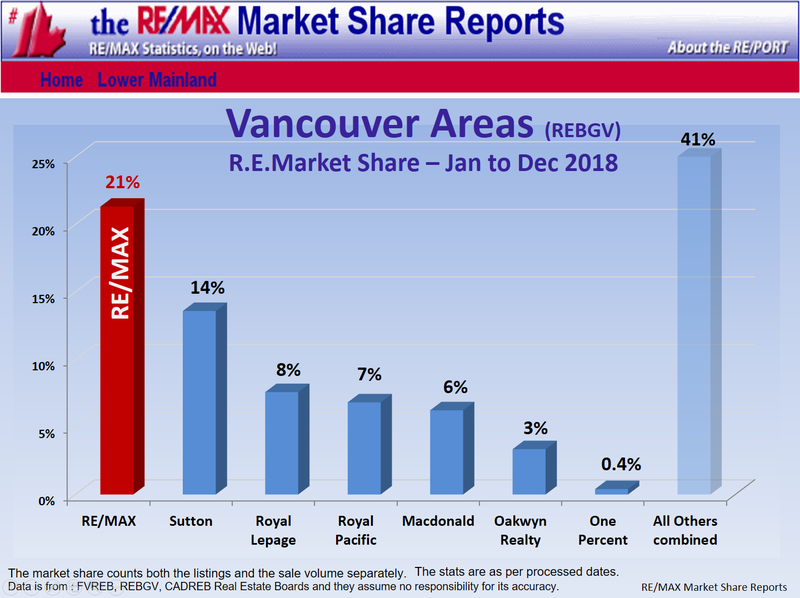 Note: this market share is to help a vendor pick a strong RE/MAX office to help sell their home and is not about how much your agents sold out of the area - only how dominantly they sell within their local market area. 2. We cannot use the sold date as sales that are finally processed 2- 3 weeks later would then change the statistics. For example, the previous month’s absorption rate taken at the end of the month with increase by 10% or more if recalculated one week later. 4. Our aim is to compile monthly reports rather than cumulative reports so Brokers can see the monthly changes. If you would like some customized %%FIRSTNAME %%LASTNAME %%COMPANY reports let me know, or If you would like to sponsor %%CITY or another area let me know. and Victoria and Vancouver Island since 1997. In December 1999, it was moved to the Internet and renamed the RE/MAX RE/PORT - Online. In 2003 the Kamloops and District Board was added- removed,and the Okanagan Mainline Real Estate Board offices joined in 2006.
get more listings by using your RE/MAX reports! HI there, I'm Bill Coughlin from RE/MAX City Realty Abbotsford and I am tempting to carry Jim Lees 26 year legacy of providing the RE/MAX reports. I love statistics to the 9th degree and back in 1983 I started analyzing the absorption rates and developed a very detailed Home Price Index. I'm doing the local 17 cities and will move into the other Real Estate Boards when time or as volunteers arrive. If you have news worthy information about new jobs, new money investments and market trends, or have good connections to mainland China.